Saint Louis is the location of the Anheuser-Busch Brewery, and a huge microbrewery scene, so we knew before we moved we’d be getting our drink on once settled in. I already wrote about visiting AB during our first few days in the new city, and since then, we’ve visited a LOT more breweries (detailed posts to come). 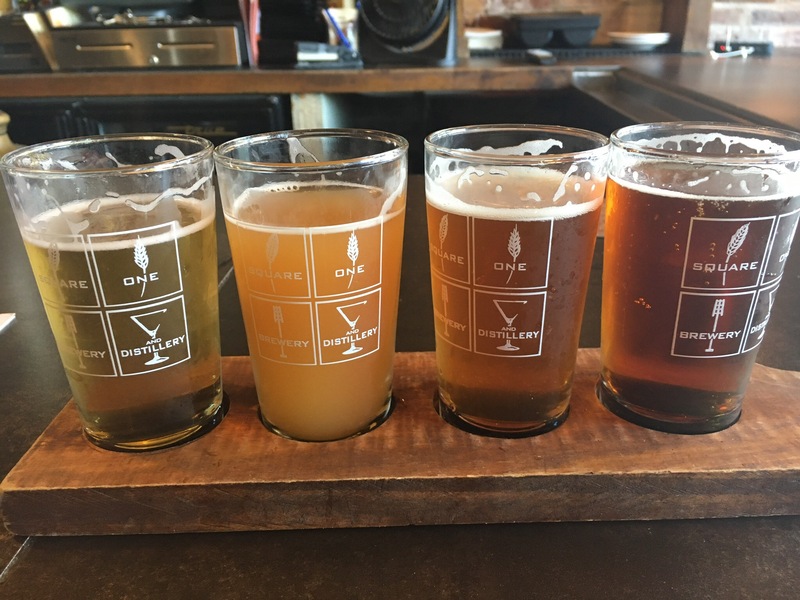 *Square One is a brewery/distillery and set up more like a restaurant than anything, which we were not expecting. The beers were good, but the overall impression was meh. For the first time in the 4 month’s we’d been here, the bartender was not at all friendly. We have to give this place another try with this in mind — hopefully when someone else is tending the bar. 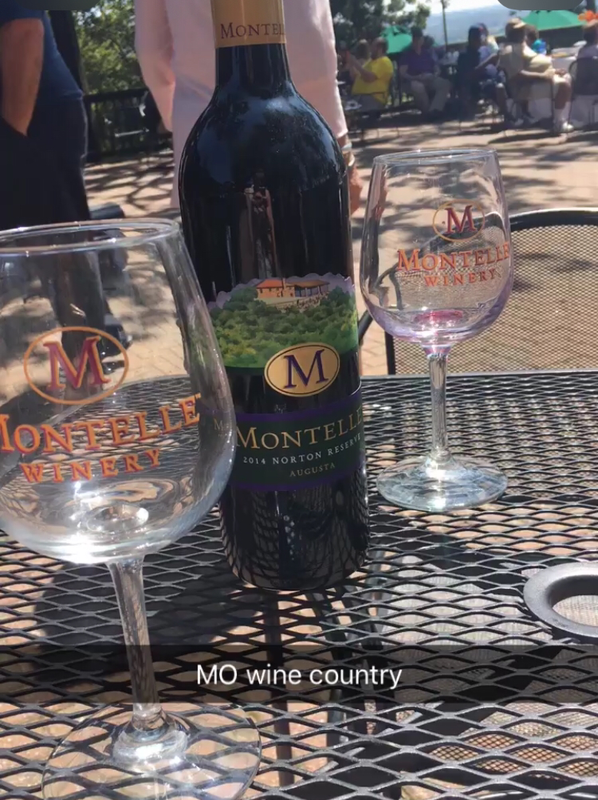 Also, Missouri has its very own wine country. We’ve only visited one vineyard so far, but plan to make more trips as the weather warms up. Montelle Vineyards has lovely views of rolling hills from its multi-level decks. When we visited, they had live music that reminded me of a very good wedding band — great voices and excellent, catchy song choices. The wine was decent — although, coming from Virginia, our bar was set pretty high. I would say we will continue visiting wine country, but more for the views and ambiance than the wines (we’ll see if that changes as we try more of the wine offerings). Leaving aside the breweries and vineyards, Saint Louis has an epic number of bars. In our neighborhood alone, we’ve found several fantastic options depending on the mood of the night. For football or other sporting events, or if you’re in the mood for a huge variety of beer options, International Tap House is the place to be. In the Central West End location, I-Tap has three levels of seating and plenty of TVs throughout, as well as a couple fire pits and seating out in front of the building. The bartenders are so friendly. They’ll offer you a draft list (if you’re too far from the chalkboard wall covered in the current draft options), but more often than not, they’ll ask what you’re looking for or what you like to drink, and make suggestions that are almost always great. 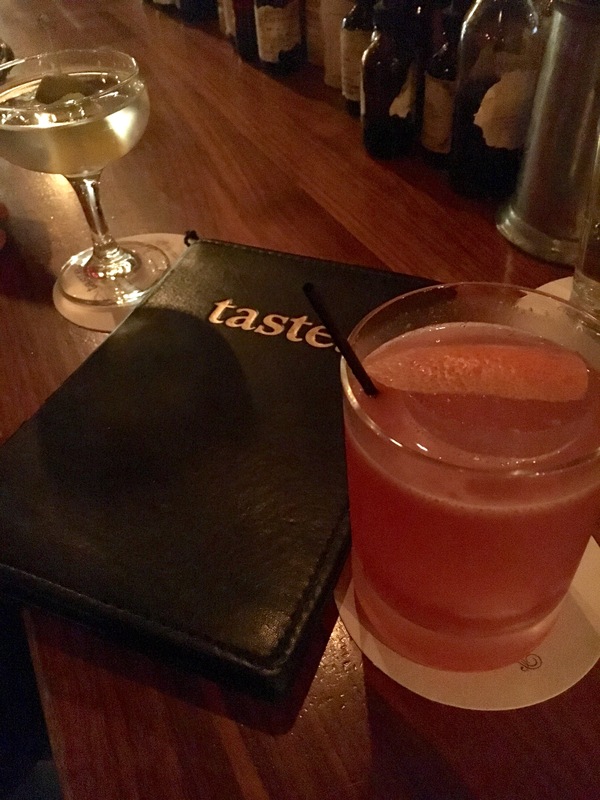 Taste is another CWE bar that is a must-visit. They have a booklet of cocktails and are masters of them all. Sitting at the bar, if you don’t find something that strikes your fancy, you can tell the bartender what flavors you like and they’ll whip something up just for you. There’s a cozy section upstairs with intimate couch-seating for date night or catching up with friends. Also — and I know this is going to sound weird — the restroom by the bar is the most beautiful bathroom I’ve ever witnessed. 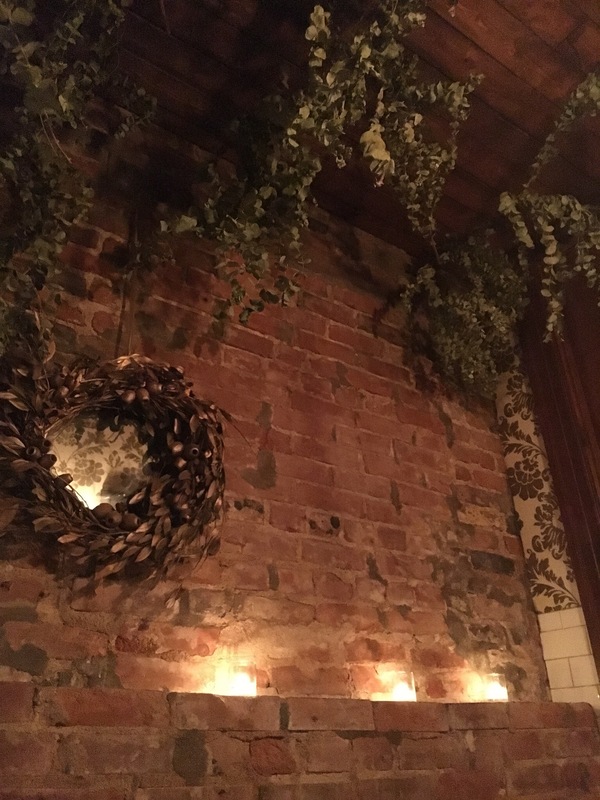 Exposed brick walls, Edison lights, ivy dripping from the ceiling, tea candles, and an antique-style toilet with a pull chain come together to feel like some sort of romantic fairy tale setting, rather than somewhere to do your business. Just around the corner, Tom’s Bar and Grill is a great spot for trivia on Tuesday nights. The pitchers are a little small, but at trivia, there’s a chance to win a free one. There’s karaoke on the weekends, which is entertaining whether you participate or just enjoy from the audience. Their chicken tenders are delicious, and their late night menu is full of great snacks like mozzarella sticks and wings. For wine, Sasha’s in Demun is the spot. They have a huge selection of wines, and even though it was very busy when we visited (with a huge party of our own), the servers never seemed rushed or stressed. I stuck with a couple of reds, all of which were delicious. The food also looked really good, though we didn’t have any this time around. We will definitely be back for dinner! If it’s a dive-bar you’re looking for, CWE has one of the last ones in the city: Rosie’s. It somehow maintains that authentic, divey-grunge feel while being rather clean in actuality. Beers are cheap: under $3 for local beers is hard to beat, except by the under $4 Tito’s and Tonic. As it’s the only dive bar around, the owner runs a tight ship — absolutely no service without IDs, which is more than I can say for a lot of spots we’ve been in Missouri. They also sell cigarettes, snacks like Slim Jims, and 375mL bottles of liquor, in case you want to take your party to go. For late night, you can’t beat the $2 tacos and tequila shots deal at Mission Taco. Their tacos are fan-freaking-tastic, even if the tequila is rail. I’ve been to both the Delmar and CWE locations, and both are great — but they get packed. The tacos come out as they’re ready and somewhat mixed together, so you have to be ready to defend your shrimp taco against over-eager friends who don’t remember what they ordered (yeah, I’m looking at you, Greg). There are a lot of other great restaurants offering stellar drinks and deals. We have a whole list of places yet to try out, so I’m sure this will be followed up by a sequel post. Every so often, it hits me that I’m an adult. Yes, I go through my life acknowledging I’m a grown up with bills and a job and responsibility and all that boring adult-stuff. But once in a while, I remember being an adult means I’m my own boss. Last night, I really wanted ice cream when I got home. And I racked my brain for quick dinner recipes I could throw together that would make it acceptable for me to then have dessert. Then I remembered: I’m an adult. I can have ice cream for dinner if I want. Also, my husband was at a work happy hour and would likely want actual dinner when he arrived home. So basically, I was just killing time with a little ice cream. The only real problem was the ice cream we currently have is sub-par flavor-wise. It was a sad day when I combed through the ice cream aisle at the grocery store only to find all the flavors and brands acceptable to both my husband and me (my husband will only eat ice cream from cartons that have the plastic seal on the outside and remember, I had that mouth surgery so I can’t have anything with nuts or super chewy chunks yet) were covered in a layer of frost. And I wasn’t trying to eat crunchy, freezer-burnt ice cream. 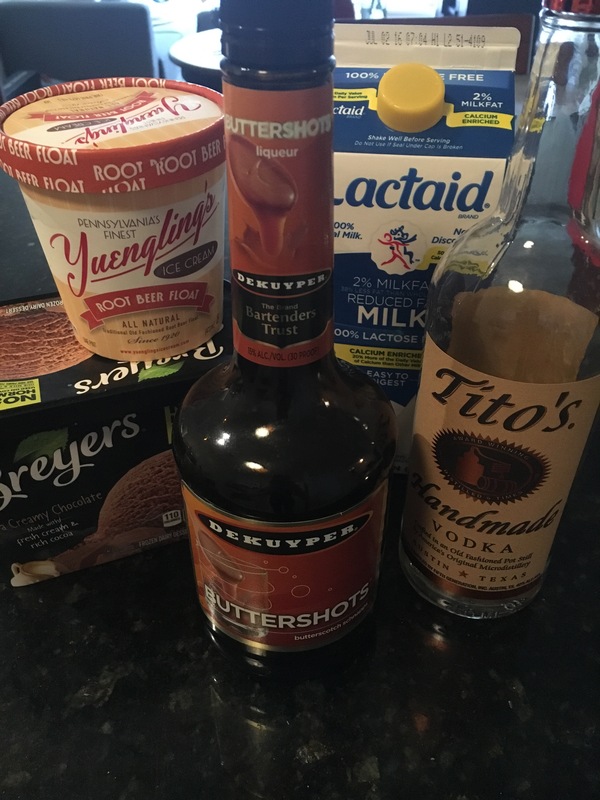 Did you know Yuengling makes ice cream? Me neither, until I saw the cartons at Harris Teeter. Apparently they started selling ice cream to keep their family business afloat during Prohibition. And they are ah-mazing at making ice cream. They should be even better known for their mint chocolate chip than they are for their beer. So, I was at Giant (it’s slightly more convenient to stop here on my drive home from work than the Teeter) about to tearfully give up on my ice cream quest, when I spotted a 2 for $3 pint deal for none other than Yuengling ice cream. I was so pumped. In that moment, it didn’t matter that the only flavors were root beer float and black & tan. I grabbed one of each and went on my merry way. Of course I got home and thought w-t-f, why would anyone want ice cream flavored like the delicious beverage it can help create? That’s pure laziness. I was ashamed of myself. At least the black & tan is a chocolate-caramel swirl. Obviously, I still tried it. I mean, it’s still ice cream. And root beer floats are possibly my favorite way to enjoy ice cream. I’ll say this for Yuengling: their ice cream is dope no matter how weird the flavor. Still *highly* recommend them. My husband is a traditionalist when it comes to ice cream. He’s not into “birthday cake” flavor or “strawberry cheesecake” and he felt the same about “root beer float.” So it’s up to me to finish that bad boy. And I mean, it’s good, but it’s not eat-an-entire-pint-in-one-sitting-good. (Also, I try to follow the serving size. I might have two servings in a night if I’m feeling particularly feisty–or adult-y–but I try). A lot of things came together last night to make for a pretty delicious concoction on my part. I had the weird ice cream flavor. I had a hankering for cold, creamy goodness. My husband was at a happy hour. I wanted my hour to be happy, too. The obvious conclusion: add some alcohol. I love butterscotch. My husband does not. If I’d known that this winter, I wouldn’t have bought such a large bottle of butterscotch schnapps for my hot buttered rum recipe. But I didn’t, so I did, and now we have a ton of the stuff. I figured it couldn’t hurt anything tossing a splash of it over my two heaping scoops of root beer ice cream and half-cup of milk. And while I was adding liquor anyway, might as well throw in some vodka to give it a real adult-kick. This ended up being a little too much liquid, so I dug out the last of our freezer-burnt chocolate ice cream, avoiding the biggest ice crystals, and got a big enough scoop to mix in and bring the consistency back to a nice, thick milkshake. The improvised recipe is below, but if you’ve ever made a milkshake by stirring your ice cream till it’s super soft, you can handle making a drink like this. Unless you’re not 21, in which case get out of here and come back when you’re old enough to complain about not getting carded. Stir the 3 scoops ice cream with the milk until it reaches desired consistency. Add the alcohol and stir immediately to mix well. Stir in chocolate ice cream until smooth and enjoy.